The five members of the Board of Equalization (BOE) were seated approximately three feet apart behind a podium on the stage; behind them stood a series of flags and portraits of the various governors past and present of California. Along the walls were photographs of previous board members looking very esteemed. The audience—litigants, lawyers, law students, aides—sat randomly in theatre-style seats, with piles of paper or briefcases on their laps. With the exception of the spotlights shining down on and illuminating the heads of the BOE, the room was not well lit. He stopped to review his notes. “Let me see, where was I?” The other members shifted uncomfortably in their seats, refusing to make eye contact with the audience. Maya had read about the state controller. He was a man with five children who ran on the family values platform. Her brief meeting with Roberta had given her hope. She could tell Roberta believed her story. But now all hope was beginning to fade. There was no way a man like him would take pity on her, a divorced woman, a single mom, and so she was doomed, wedged miserably between the lawyer for the state and Duke Franklin Clay, two rows from the spotlight. Doomed. The litigants for the first case, a short, well-tanned man in blue jeans and a flannel shirt (despite the heat), and the lawyer for the FTB, were called to the front of the board room and ordered to stand at the small podium facing the judges. 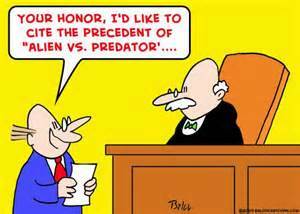 The appellant seemed confused and agitated. As the analyst began reading the summary, he turned to the lawyer for the state, a young blonde, and began saying something to her in Spanish. The chairman motioned to the analyst to stop speaking. “What’s wrong Mr. Lopez?” He asked the appellant. “No Mr. Lopez.” The man responded in a thick accent. The chairman frowned. “Not Mr. Lopez. Isn’t this Lopez versus FTB?” He asked Roberta, who was seated at the side of the podium. “Your honor,” Roberta explained, “Mr. Lopez speaks and writes English very well. He’s a general contractor. He didn’t even request a translator for the hearing.” The chairman exchanged ferocious glances with the other BOE members. What was this? Some sort of kangaroo court? They shut off their mikes and moved closer to each other to exchange words. After a few moments, they took their seats again. “¿Qué pasa?” Mr. Lopez?s cousin asked. “You lost,” the lawyer for the FTB whispered back glumly. She’d just won her first BOE case. The next case was Singh versus FTB. Mr. Singh had deducted what he’d spent on child support and alimony from his income, claiming that he shouldn’t have to pay income taxes on money that had gone to his ex. “Then shouldn’t you allow your attorney to speak for you?” Mr. Singh motioned for the young man standing next to him to speak. “But I do not get my ten minutes to protest?” Mr. Singh pleaded his hand over his heart. In just thirty minutes two cases had been thrown under the bus. The chairman had made it very clear on whose side he stood, and it wasn’t with the taxpayers. He wasn’t even giving appellants the chance to speak. “Only if I can tell them my story.” Maya was tired of the two lawyers talking over her as if she didn’t exist. The next case was called. O’Brien versus FTB. The analyst read the summary. In 1992, the appellant, Thomas O’Brien, purchased a yacht for $185,000 dollars from a private citizen, Mr. Paul Collins, in Los Angeles, California. His intent was to moor the boat at his home in the San Juan Islands; however, owing to business difficulties, he was not able to take possession of the yacht. His appeal to the BOE was over California use taxes which he claimed he should not have to pay because he was not in possession of the yacht. Before the opening arguments began, Roberta informed the chairman that the man standing at the podium was not Mr. O’Brien but his business partner, Mr. Biddings, who would be representing him. The chairman scowled. 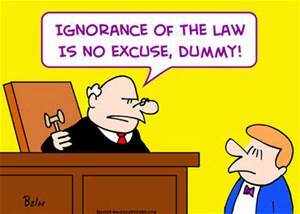 There was no excuse for an appellant not to appear in person, no matter how important they thought they were. The BOE could level the playing field faster than Wyatt Earp had dispensed with Tommy Clancy. “Where’s the lawyer for the FTP?” Maya whispered. “Was it stolen? the chairman asked. “Thank you, Derrick. I think we’ve all read your summary which was, I must say, very astutely written,” the chairman interrupted. “However, the appellant has provided evidence in the form of statements from her neighbors and correspondence from the attorney handling her divorce that does support her contention that her ex-husband did not readily provide financial information and that the tax return in question was signed under duress.” The chairman turned away from the legal analyst and addressed Maya with a warm smile. At first Slattery opened his mouth but nothing came out.